Euro is still being corrected. Earlier price reached upper target levels and then rebounded from them. Most likely, in the nearest future Eurodollar will start falling down again to reach closest group of fibo-levels. As we can see at H1 chart, current correction successfully reached local level of 23.6%. 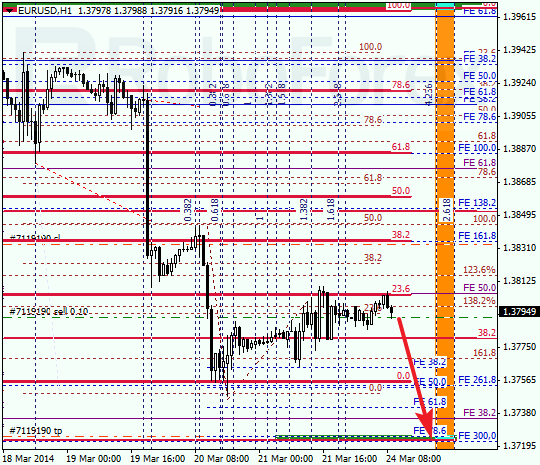 According to analysis of temporary fibo-zones, lower target levels may be reached during the next 24 hours. Later pair may rebound from them and start more serious correction. Franc is also being corrected. 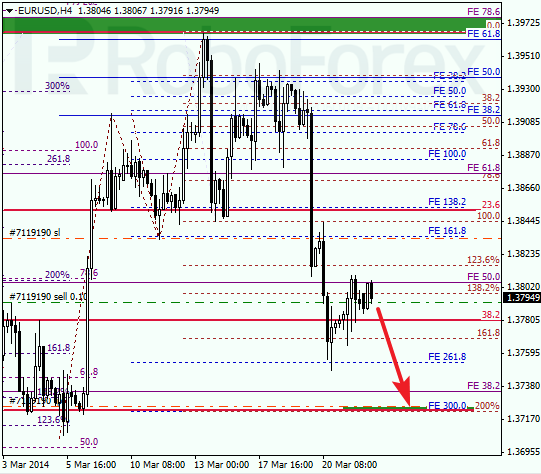 Earlier price rebounded twice from lower fibo-levels and Take Profits on my sell orders worked. 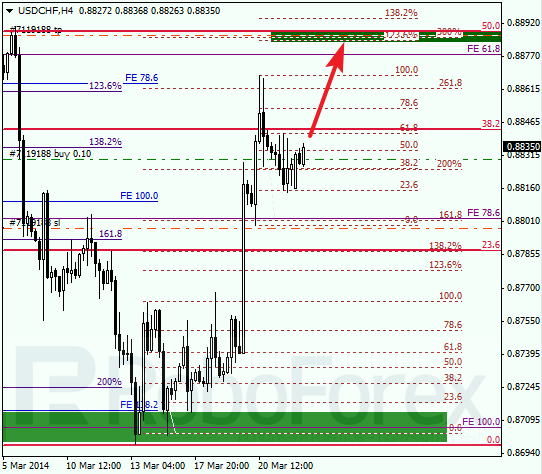 Right now, I’m keeping my buy order with target at level of 0.8890. At H1 chart, market rebounded from local correctional level of 38.2%. According to analysis of temporary fibo-zones, price may reach its predicted target levels by Tuesday. If later pair breaks them upwards, I’ll start buying during the following correction.